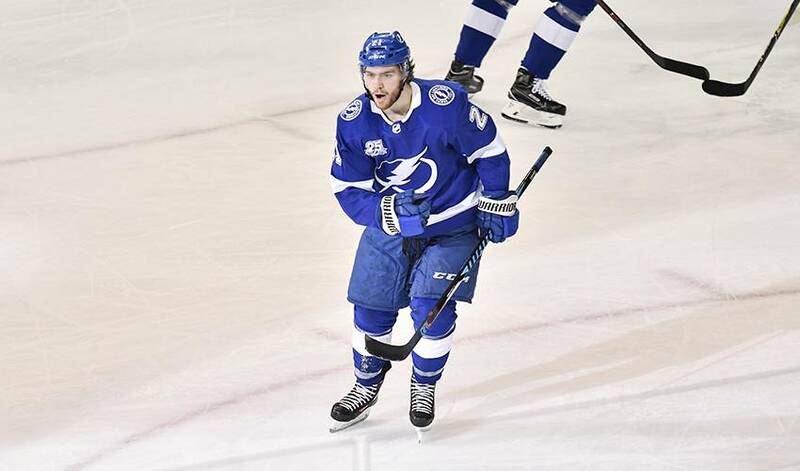 Originally overlooked for the 2014 Canadian Hockey League (CHL)/NHL Top Prospects Game, Brayden Point was determined to make a point when he was added to the Team Orr squad. And did he ever. Tim Hunter, who was behind the Team Orr bench for the annual CHL event four years ago, remembers the game as though it was played yesterday. Hunter, who played 815 NHL games and won a Stanley Cup with the Calgary Flames in 1989, recalled his first impression of the player chosen 14thoverall by the Warriors in the 2011 WHL Bantam Draft. It’s what prompted the long-time NHL assistant coach with Washington, San Jose and Toronto to send out Point for a pair of crucial own-zone face-offs. Selected 79th overall by the Tampa Bay Lightning in 2014, Point, who was named the 30th captain in Warriors history that same year, enjoyed an outstanding career with the WHL club. The Calgary native recorded 324 points in 252 games with Moose Jaw, along with 26 points in 24 playoff games. Hunter, who sits eighth all-time in NHL penalty minutes with 3,146, knew early on in his coaching tenure with the Warriors what to expect from Point. The NHL world has certainly come to know all about the 22-year-old. In his rookie campaign in 2016-17, Point recorded 18 goals and 40 points in 68 games. This season, the centre netted 32 goals and 66 points in 82 games. So far in the Stanley Cup Playoffs, the 5-foot-10, 166-pounder has five goals and 12 points in 12 games, including four points (1G, 3A) in a 4-2 victory in Game 2 against Boston in the Eastern Conference Second Round. Now he’ll look to do his part to help the Lightning rebound on the road in the Eastern Conference Final. Tampa Bay lost the opening two games of their series against the Washington Capitals. Why would Hunter, who was known for his robust physical play, loathe the thought of playing against Point? To say that Hunter is extremely proud of his former player would be a huge understatement.